Wellington, Florida – Canadian Olympian David Marcus of Campbellville, ON, wrapped up a highly successful winter season with a bronze medal performance as part of Team Canada 1 in the CDIO3* Wellington Nations’ Cup held April 11 to 14 as part of the Adequan Global Dressage Festival at the Palm Beach International Equestrian Center in Wellington, FL. 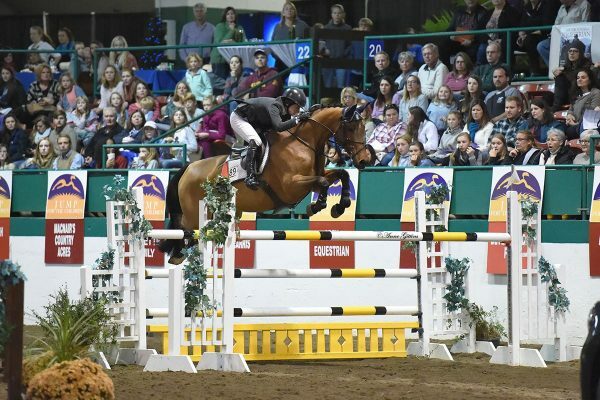 Riding Don Kontes, a 13-year-old Swedish Warmblood gelding owned by Deborah Kinzinger Miculinic, Marcus put in an exciting performance in the Grand Prix on Friday, April 12 to help lead Canada to the podium. His teammates included Christilot Boylen riding Dio Mio, Brittany Fraser aboard All In and Evi Strasser with Action Tyme. Team USA 1 claimed the gold while Team USA 2 took home silver in the only Nations’ Cup competition held outside of Europe. Marcus’s bronze medal performance was the latest in the long string of successes he has enjoyed over the winter competition season. 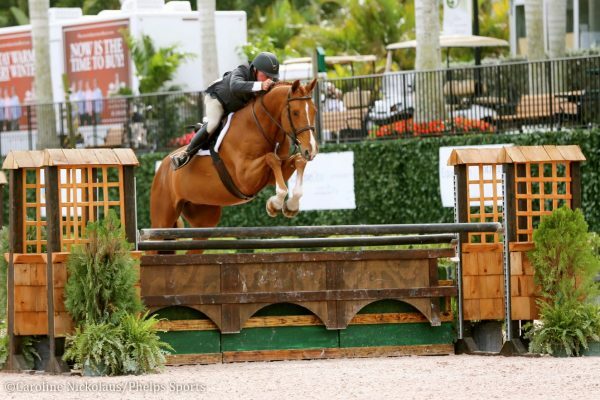 Riding Chrevi’s Capital, a 13-year-old Danish Warmblood gelding also owned by Kinzinger Miculinic, Marcus topped the North American World Cup League after dominating the CDI-W Wellington Dressage in February. 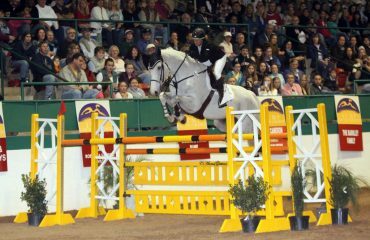 In the Grand Prix, he topped a starting field of 13 horses with a score of 70.34%, edging out Swedish Olympian Tinne Vilhelmson for the win. In the Grand Prix Freestyle, he performed his new musical program for just the second time in competition, earning an impressive score of 74.45% from the five-member panel of international judges to claim the top spot once again during the World Cup qualifying event. 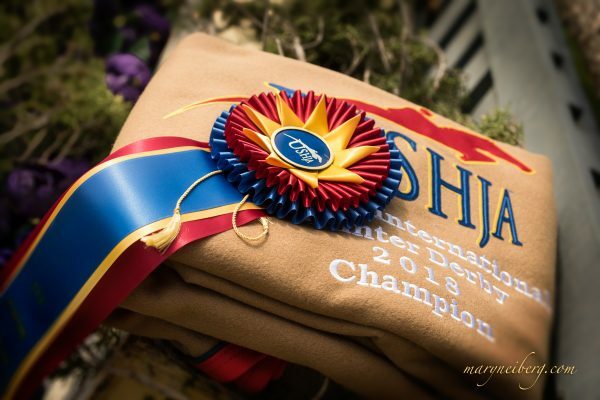 Marcus and Chrevi’s Capital also received an invitation to the prestigious CDI5* World Dressage Masters Palm Beach in January where they were the sole Canadian representatives to advance to the Grand Prix Freestyle, placing sixth overall. Don Kontes also proved to be a reliable partner for Marcus, with the pair winning the Grand Prix Freestyle during the CDI3* Sunshine Challenge in January on their score of 70.825% and finishing second in the Grand Prix. 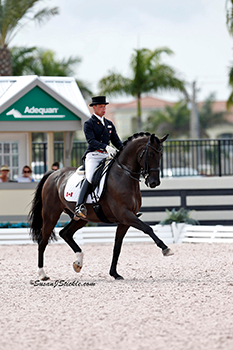 David Marcus and Don Kontes led Team Canada 1 to a bronze medal at the CDIO3* Wellington Nations’ Cup in Wellington, FL. Marcus’s students also proved successful during the winter season, earning tremendous results of their own. “All of my students did very well during the winter circuit,” said Marcus. 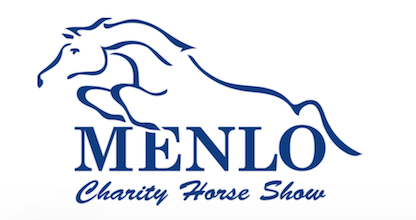 “Ally Dunlop made her debut at the Young Riders level and finished her season with a win at the International Horse Sports Champion Cup in March. Marcus credits his success in part to the amazing support he receives. 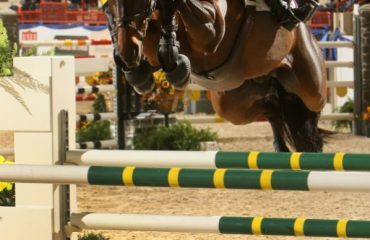 With the winter competition circuit now over, Marcus will head home to Canada to give the horses a bit of a break before focusing on preparing for the 2014 World Equestrian Games in Normandy, France. 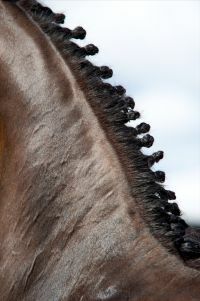 Marcus operates David Marcus Dressage in Campbellville, ON, just west of Toronto. 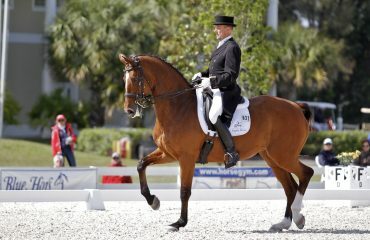 For more information, please visit www.davidmarcusdressage.com.